A £10 charge for Blue Badges has been introduced across Lancashire. The scheme allows people with disabilities affecting their mobility to park closer to their destination, by using disabled bays and areas where parking restrictions may usually be in place. Lancashire County Council has become the final council in the country to introduce a charge. Blue Badges can be used in vehicles where an eligible disabled person is the driver or a passenger. The council said that by charging £10 for each new badge, it will cover 58 per cent of the cost of the scheme. Over 27,400 badges were issued In Lancashire between March 2014 and April 2015. 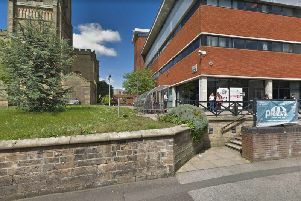 County Councillor Tony Martin, cabinet member for adult and community services, said: “This has been a very difficult decision, but given the tough financial challenge we face, we’ve had to introduce a charge to cover the costs of the service. “Unprecedented cuts in government funding, combined with an increasing demand for our services, mean we have to save £65m over the next two years. “Although there will be a £10 charge for this service, it is still great value for money. “The badges provide a range of parking concessions for a three-year period. Organisations such as community transport providers can now also apply for Blue Badges for vehicles that are being used to transport people with disabilities affecting their mobility. Lancashire County Council issues more Blue Badges than any other council in the country. For more information about the scheme, visit www.lancashire.gov.uk/parking.